Delhi Metro Pillar Advertising – Metro Train Advertising in Delhi is a proven way to increase your sales. 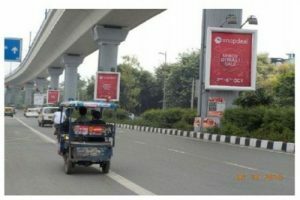 Exopic Media – Offering Metro Pillar Advertising in New Delhi, India. Advertising on Metro Pillars is another medium that can be used to attract customers. And, we are a trustworthy name involved in providing Delhi Metro pillars advertising services. In order to turn into efficient services, we keep ourselves in touch with the leading market trends and strategies.